Summit situated in the townland of Cross. Had an army base on the summit, dismantled around 2001. The second element of Slieve Girkin is suggestive of cuircín, 'crest' or 'comb', which would fit well with the crinkly appearance of the summit when seen from Camlough, but no Irish forms have been found to confirm this. Camlough Mountain is the 833rd highest place in Ireland. 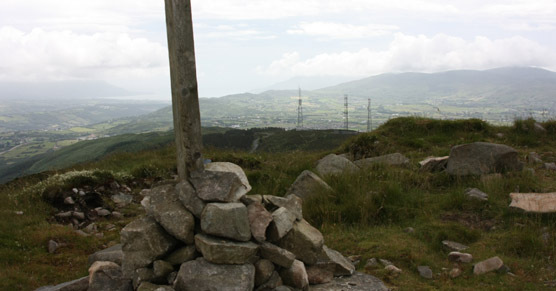 Camlough Mountain is the second highest point in county Armagh.